This year do not let anything slow you down on summer fun. Being prepared with summer ideas and a summer safety kit can help mom stay sane from May-August. Summer is beloved for long days, blistering sunshine, and an attitude to slow down and enjoy time with family and friends. Amidst the barbecues and pool parties, a focus on safety and capturing summer memories can easily slip by. 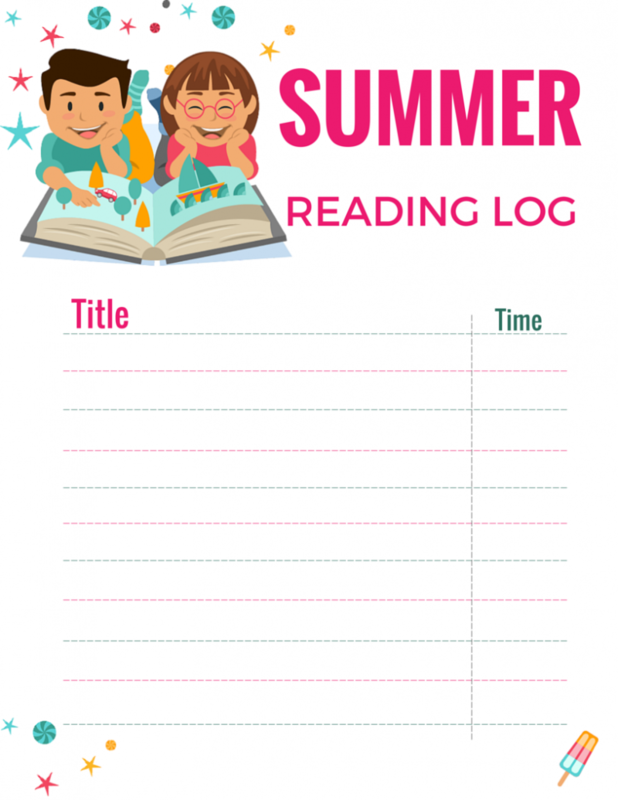 As the school year draws to an end, spend some time getting ready for summer the right way, by creating structure in each day, ensuring you’re prepared for summer accidents, and helping your entire family enjoy and share their summer memories. This summer safety post is brought to you in partnership with CVS. I tend to be really laid back during the summer and realize a couple of weeks in that a bit more structure would help everything flow more smoothly. It’s also hard to fit in time for kids to focus on their summer reading or practice other academic skills with the lure of so many fun things to do. Carving out specific time for these tasks is important, or soon it will be late July and all those workbooks will still be un-worked! Start summer off on the right foot with some rules and guidelines and how you want to structure the days. Decide the boundaries you feel comfortable with for kids roaming free, whether they need to ask before they visit someone’s house, whether they can play indoors or out, and generally, when they need to check-in with you. Make it clear early on these are firm rules, and there are specific consequences for failing to comply. Clear rules are especially important if you or a neighbor has a pool the kids will be using. Kids have no real idea of boundaries and private property, which can make things rather uncomfortable with your neighbors, and potentially very dangerous. Also, be sure to set clear expectations for summer reading or other work you want kids to complete during their school break. Decide on a specific time (after lunch, before dinner, etc.) when you want to schedule these activities, or whether you’ll leave it up for the kids to choose how to use their time. Often, setting requirements for the completed work can be better than time limits, as it’s possible for kids to be “working” for 15 minutes yet do nothing! For example, at my house, kids work on their “brain boost” activities after they finish lunch. They work on 3 – 8 pages of their workbooks or read two books, depending on their age. This gives us all a quiet break after lunch and keeps us out of the hotter parts of the day. Sometimes it works to require tasks such as studying or chores to be done before other play, but I try to reserve the cooler summer hours for outside play and the hotter indoor hours within the sanctuary of a dark, air conditioned house. This year I am also working with CVS! They have an amazing selection to start building your summer kit to help you and your kids keep going and going! Plus, if you need help, MinuteClinic locations can help diagnose and treat summer ailments like swimmer’s itch, poison ivy, sunburns and more. As always, your pharmacist is also a great resource even if you aren’t picking up a prescribed medication. They can help recommend the best over the counter medication for symptoms and help keep summer fun from stopping. Have a child with an allergy that you need to stay on top of or other medications that must be filled from your pharmacist? It’s so easy to use the CVS Mobile App to refill prescriptions, transfer them to a different location if you’re traveling and even get text alerts when your medication is ready for pick up. 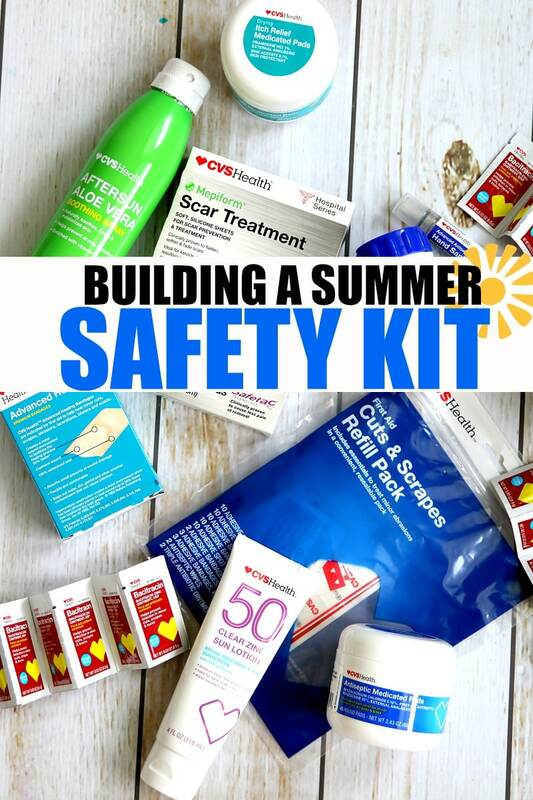 Putting together a summer safety kit is relatively straightforward; you’ll want to think about all the possible irritations of summer and prepare accordingly. To begin, you should have after sun care, such as aloe or other lotion, bug repellent and treatment for bug bites, anti-itch cream, and an antibacterial cream. Also, be sure to have plenty of band aids of all sizes on hand for those inevitable summer scrapes. Check your supply of Tylenol (of course choosing age appropriate ones depending on the ages of those in your family) and discard expired medications and replace with new. Have a fresh bottle of peroxide in your cabinet and consider purchasing specific wound cleaning wipes which makes it so much easier to tend to cuts. Have an ice pack ready in the fridge or freezer as well. Check the dates on any sunscreens you have left over from last year and throw any that may have expired. Sunscreen should be used within one year and then discarded. Try to have a variety of types of hand – sunscreen for faces, waterproof formulas, and both aerosol and cream types. That way there won’t be an excuse for forgetting! Remember even little ones can learn to apply their sunscreen if you choose a bottle with a pump. Just be sure you’re there to help apply! In fact, CVS Pharmacy is the only national retailer to remove all sun care products with SPF lower than 15 from shelves so choosing sunscreens SPF 30 and higher will be a snap. Learn more, get coupons, and find products perfect for your pack here. It’s happened several times now where my kiddos go back to school, and on their first assignment, they’re asked to report what they did over the summer. After hours of outdoor play, exploring our city, visiting museums and the pool, what do they write on this assignment? WATCHING TV. An utter parenting fail to say the least. To better help kids (and you) visualize and remember those precious summer memories, set up a system or a plan in the early days. Will you capture the summer with a blog? Scrapbook? Consider getting your kids a digital camera for them to capture moments that are important to them. (You’ll have to constantly remind them to bring said camera, as well as to replace the batteries constantly…). I love looking at the world through my kids’ eyes when reviewing their photos. You can be structured, letting kids know in advance what you’re planning, so they can help think of ideas of how to join in the fun, or you can manage on your own. Will you create a different scrapbook page for each month? Each outing? How often will you post on your blog? Will the kids write the content, or will you? One of my favorite projects is a “Flat Stanley” project, based on the popular kids’ books. Kids design a flat version of themselves and mail it to friends and family. The recipient then takes their flat kiddo on adventures and documents the trip with photos and a letter. The friend or family member then returns the flat kiddo with the photos and memories. Kids don’t even have to mail their flat people. Instead they can use them as characters in their own summer story! Also do not forget to create those memories! 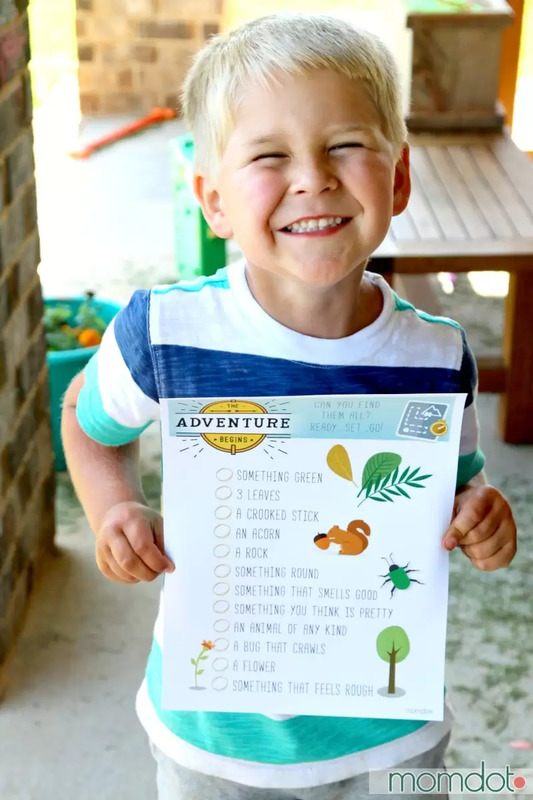 Download my free Scavenger Hunt Printable so you can get started on using your own backyard as a way to kick off the summer! There are countless ways to spend your summer, but this summer, don’t forget to make time for the things that really matter, capture those fleeting moments between babyhood and college, and be sure you’re prepared for whatever summer brings. Thanks to CVS for helping remind us to have fun- but also stay stocked and safe!